Found this on Key to Laufeyson . I'm posting it now because Biology A level is highly distracting. 1. What was your first cosplay, and when did you wear it? 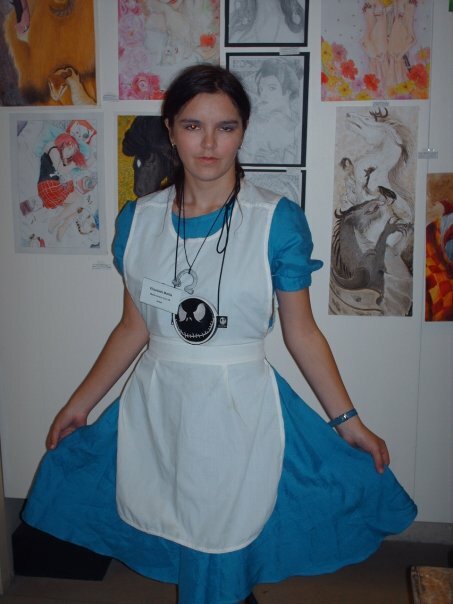 Alice, from American McGee's Alice. I got a local seamstress to make a dress for me and alter an apron. I made the necklace myself. 2. What was your latest cosplay, and when did you wear it? The latest is Alice from Tim Burton's Alice in Wonderland. I haven't had a chance to wear it yet. 3. What was your most technically difficult cosplay to make? Um . . . probably Alice's Late but Lucky costume, mainly because I had to make fursuit paws, a top hat, and a jacket. 4. 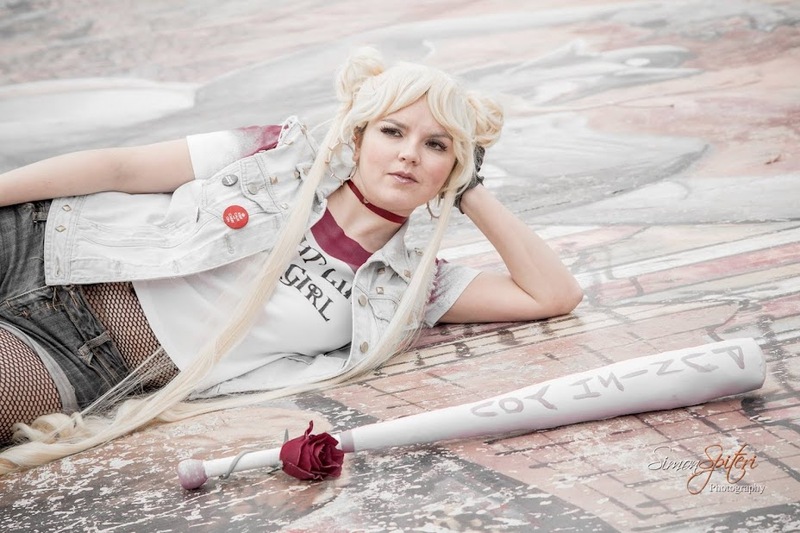 What's your favorite 'closet' cosplay? Why? Hm . . . probably Magda from the Rocky Horror Show. All I had to make was the frilly apron and cap. We performed the Time Warp at Baystreet, and I had a lot of fun. 5. What is your favorite costume to wear? Your least favourite? My favourite to wear (so far) is probably Alice's Late but Lucky dress, because it's very comfortable but very striking, though it is difficult to transport because there are so many items. My least favourite costume, looks wise, is Ling from Mulan, because its plain, though very comfortable. The least comfortable costumes are those involving my platinum blond wig, because that wig is very tight. 6. Which costume did you have the most fun constructing? Harley Quinn. The applique was a lot of fun. 7. What's your favorite part of cosplay construction? What is your least favorite part? I love sewing, painting, and prop making. I hate tracing pattern pieces and cutting out material. 8. Favorite prop? Least favorite prop? 9. Tell us your favoured makeup brand/technique. I have no preferred brands: I tend to use Revlon because that's what is available locally. I tend to use liquid foundation because I've heard it creates a very smooth surface. 10. Describe your favourite/best cosplay experience. So many . . . one of the best was performing the Sucker Punch 'Two Ladies' skit at Malta Comic Con 2011. 11. Describe your worst cosplay experience. 12. Have you won any cosplay awards? If so, what for/where? Yes: first place group skit at Malta comic con 2011, and second place group skit at Malta Comic Con 2012. 13. Your favorite group cosplay? Why? 14. Your most favorite cosplay picture you've ever had taken is ...? 15. Pick one of your friends and tell us your favorite cosplay of theirs and why. http://browse.deviantart.com/art/Cookilicious-362275594 Blue furry hoodie. That is all. 16. Are you working on a costume now? Post a progress picture! I am working on a Wonder Woman costume, but haven't got any good pictures. 17. What's your cosplay lineup for your next con? 18. What's your dream cosplay? 19. What's something you wish you could figure out how to construct/a cosplay element you want to incorporate but don't know how yet? How are you tackling it? 20. Have tentative plans for the future? Share them! Wonder Woman, since I have all the materials on hand. Still debating whether to go with shorts or a skirt.